At Uthoff Family Chiropractic, PC, we believe health is a state of optimal physical, emotional and social well-being. Amana chiropractors, Dr. Bradley Uthoff and Dr. Stephanie Uthoff are excited to help patients in our cherished community revitalize their health and improve their quality of life through safe, natural chiropractic care. We welcome patients of all ages to feel their best! 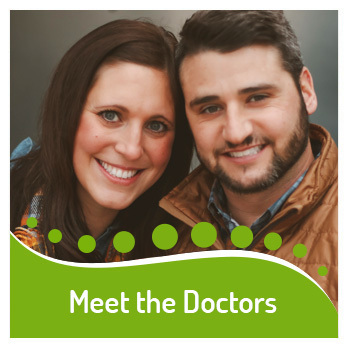 Their personable manner, business casual dress, and request to be addressed as Dr. Brad or Dr. Steph demonstrate the doctors’ desire to forge a friendly, yet always professional, doctor-patient relationship. Their goal is to help all of their patients naturally, without drugs or surgery. “We’ll do everything we can to help you,” Dr. Steph says expressing how much they care for their patient family. We want your children healthy and sleeping through the night; adults to live and feel well and grandparents to enjoy every day of retirement. Through chiropractic care, we’ll help your body stay in motion so you can enjoy life! We know what it’s like to be a farmer and how chronic aches and pains can seem normal, but they’re not. Your body is not meant to be in a constant state of pain nor do you deserve to live in pain. Pain is not a way to live your life, and that’s where chiropractic care comes in. Our goal is to help correct the cause of pain by removing the interference, imbalance or dysfunction, not chasing symptoms. With chiropractic, you’ll be able to function properly so you can stay healthy and active for years to come! Optimize your health, starting today! Contact us to schedule an appointment and take that first step toward wellness! Very helpful and very thorough. 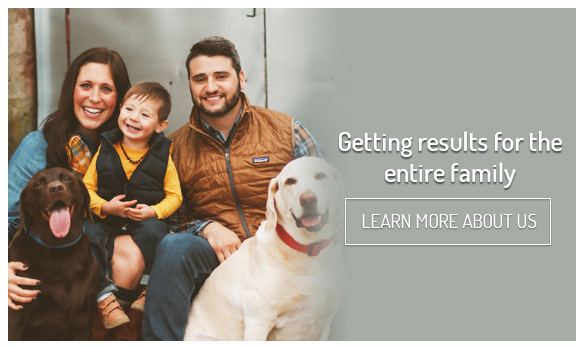 I felt immediate relief after my first visit to Uthoff Family Chiropractic. I am so glad I decided to give chiropractic a try.